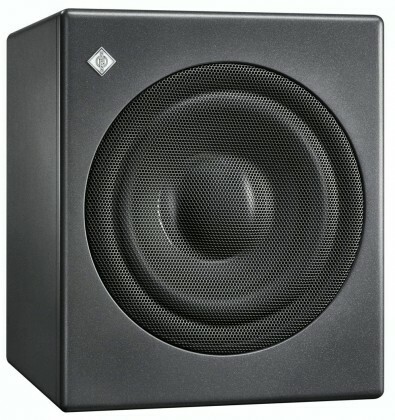 With the KH 750 DSP, Neumann presents a new and very compact subwoofer, making it the ideal choice for smaller rooms and a complement to the Neumann KH 80 DSP studio monitors. Neumann said the KH 750 DSP has a flexible 2.0/0.1 Bass Manager allowing the subwoofer to be used in many different system configurations. On the back panel there are analog and digital inputs and outputs, four routing modes and adaptable acoustical controls to allow for seamless system integration. The Neumann.Control App for iPad gives access to many additional functions inside the subwoofer. The newly designed 10-inch long-throw driver has a large magnet, linear motor design and a very stiff pressed steel basket. As subwoofers are usually placed on the floor, a robust grille protects the driver from accidental damage. The well-braced cabinet is a sealed design which brings the fastest possible transient response. The two analog XLR inputs are balanced as are the two analog XLR outputs. The 192 kHz / 24-bit digital input can accept AES3 and S/P-DIF signals. 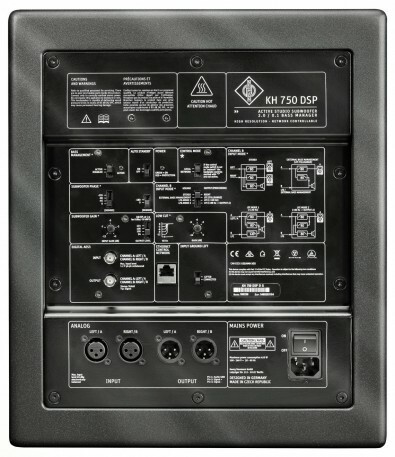 The KH 750 DSP can be used in broadcast, music and post production studios for tracking, mixing and mastering. A DSP engine optimizes output to achieve reference class sound.